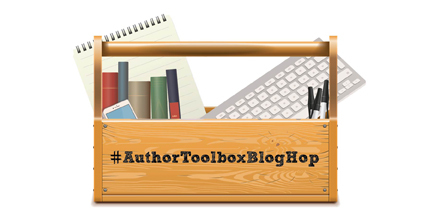 Hello and welcome to the Focused on Story Blog and to the Author Toolbox Blog Hop #AuthorToolboxBlogHop which meets every third Wednesday of the month to share resources and tips for authors. Thanks to Raimey Gallant for hosting this venture. 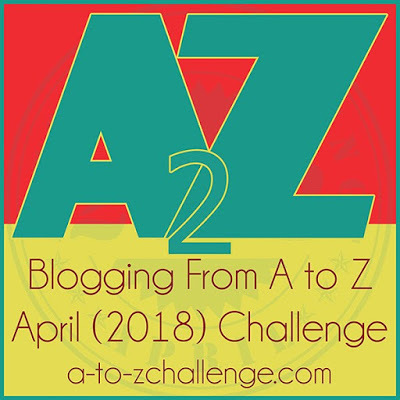 Please join us to learn more about the craft of writing and to meet bloggers who are dedicated to helping each other become the best writers possible. Click here for the list of participants and take a break and visit them. We are traveling this week so I can't visit hop participants, but I'll catch up when I can. I've been playing around with live streaming videos on Facebook--FB Live. It's fun. I'm learning by doing. Why use FB Live Video? Not only is it fun, but these videos on Facebook can be used as a marketing tool to get the attention of viewers/readers. FB Live videos can be used on your blog, Youtube, social media--anywhere you leave your "footprint on the web." Research has shown video keeps visitors on your website longer and engages browsers more than just text or text and image. The gurus say "relationship marketing" is the way to go to sell your products online such as your books, online courses, webinars, etc. FB Live allows viewers to meet you via video and affords them the opportunity to connect with you. Rather than spending valuable time writing a manuscript/notes for a FB Live video, I use content from my blog posts. I based the following video on a blog post about Writers Groups--Points to Ponder. Click here if you wish to read the entire blog post written in 2017. If you think you can't do live streaming because you have no topics, then look no further than your own blog for ideas. Have you tried FB Live or live streaming on Youtube? Leave us your feedback in the comments below. Thank you..
Want to watch more FB Live videos on Writing Tips? 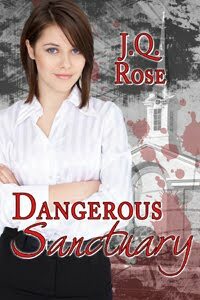 Click here to visit my Facebook Author Page, J.Q. Rose, and click 'videos' in the left sidebar. Please like my page while you're there. Leave your FB link, so I can visit you. Thanks. Click here to visit bloggers sharing helpful tips for this amazing writer journey. Thank you. 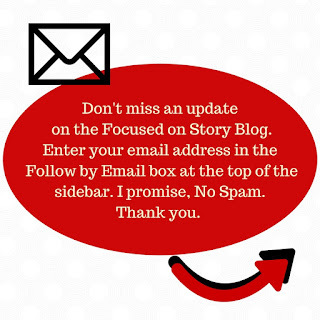 Hello and welcome to the Focused on Story blog. This week, talented author Jacqui Murray joins us for the popular series, The 5 W's in Storytelling. 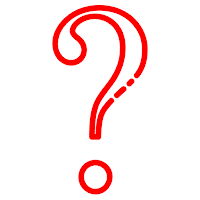 Guest authors share the who, what, where, when and why in their stories. 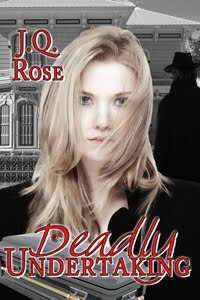 I'm thrilled to introduce a new-to-me kind of fictional story by Jacqui Murray. 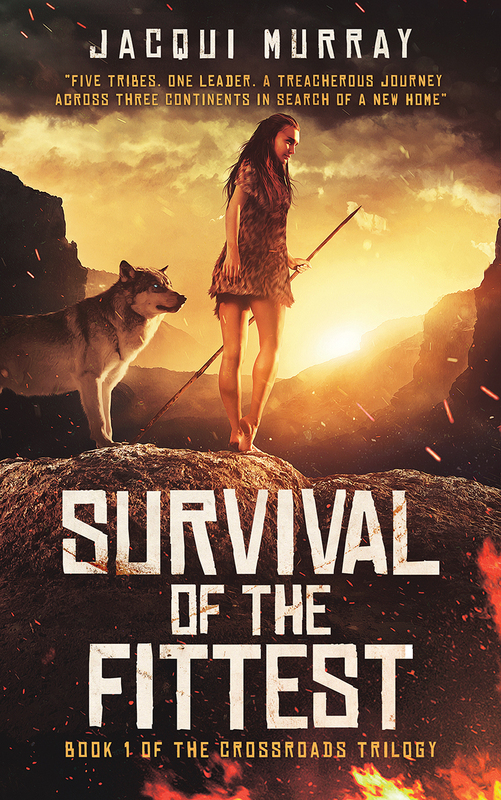 Her new release is a pre-historic fiction novel, Survival of the Fittest, Book 1 in the Crossroads series. Jackie has chosen to tell us about two of the w's needed to tell a story--Where and when her story takes place. Welcome, Jacqui! 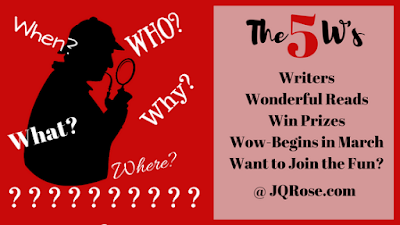 Thank you for joining us in the 5 W's of Stories series. Thanks, Janet at Focused on Story for hosting me to during the blog tour for my newest prehistoric fiction, Survival of the Fittest. It is Book 1 in the trilogy, Crossroads. 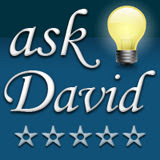 Google it--plug wherever I needed into the search engine and sort through the hits. I knew enough about the setting (say, Chesapeake Bay) that I could sort reliable from opinion. Talk to fellow writers--there are many people willing to share their knowledge. A search for topical forums or blogs usually turned up someone with direct knowledge of the setting I struggled with (like where students at Columbia University liked to congregate). Use Google Earth and its Streetview functions--I've written about this in the past because it is an amazing way to explore settings, see what's on the street characters walk down, to explore obstacles characters face in a park they must run through, or to understand how far apart are places they must drive to. Searching on Google Earth and then dumping yourself into Street View gives you the most authentic experience available, almost like being there. Use Google Earth's Time Slider--by sliding the bar, you can reshape geography and geopolitics to be what it was long ago--up to a couple hundred years. If you're writing about the recent past, this is an amazing feature. But none of these work for my newest prehistoric fiction because it takes place 850,000 years ago. Back then, mountains were plateaus, and savanna was jungle. Even the shorelines and fjords of continents were not like they are today. Since my characters walked from China to Spain along first the Indian Ocean and then the Mediterranean Sean, I went to great lengths to be accurate about what they faced. Because I couldn't use any of the options above, I talked to experts in the field, researched best-guesses, and extrapolated from everything I could find. It took a long time which might explain why the book took over a decade to write. How do you make sure that the locations your characters visit in your books are as accurately represented as possible? Please leave a comment below. in search of a new home. Back of the Book: Chased by a ruthless and powerful enemy, Xhosa flees with her People, leaving behind a certain life in her African homeland to search for an unknown future. She leads her People on a grueling journey through unknown and dangerous lands using an escape path laid out years before by her father as a final desperate means to survival. She is joined by other homeless tribes--from Indonesia, China, South Africa, East Africa, and the Levant—all similarly forced by timeless events to find new lives. As they struggle to overcome treachery, lies, danger, tragedy, hidden secrets, and Nature herself, Xhosa must face the reality that this enemy doesn't want her People's land. He wants to destroy her. 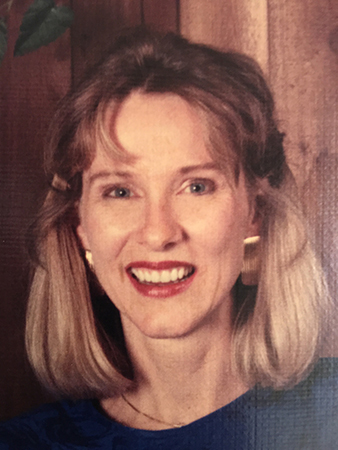 Jacqui Murray is the author of the popular Building a Midshipman, the story of her daughter’s journey from high school to United States Naval Academy, the Rowe-Delamagente thrillers, and the Man vs. Nature saga. She is also the author/editor of over a hundred books on integrating tech into education, adjunct professor of technology in education, blog webmaster, an Amazon Vine Voice, a columnist for TeachHUB and NEA Today, and a freelance journalist on tech ed topics. Thanks, Jacqui. I'm intrigued by a story that takes place 850,000 years ago. What about you? Please leave your comment below. Thank you. IWSG Blog Hop---the first Wednesday of every Month. Hello and welcome to the Insecure Writer's Support Group Blog Hop! Always on the first Wednesday of the month. 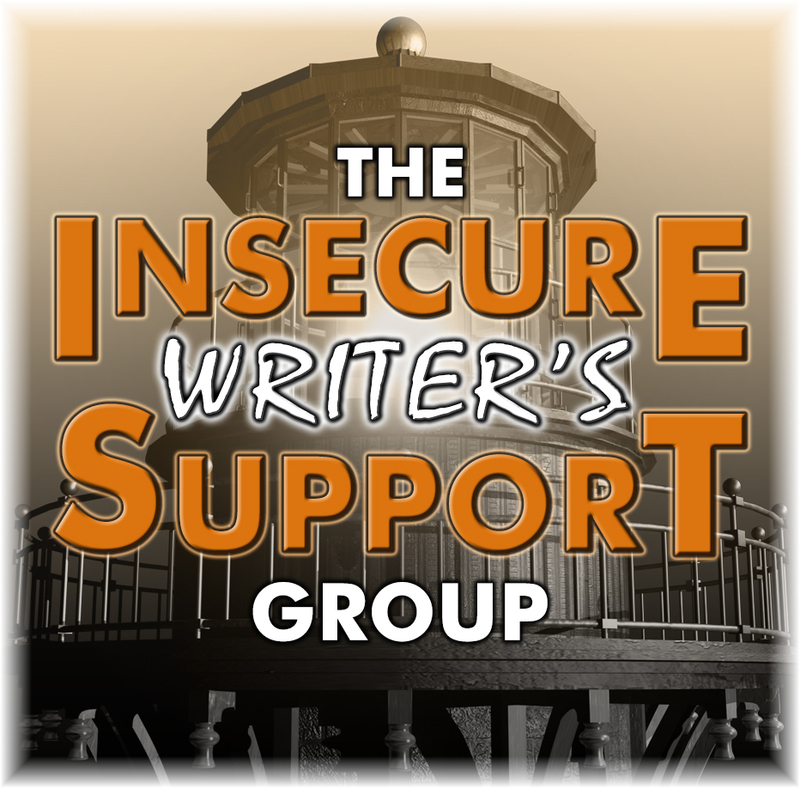 What is the Insecure Writer's Support Group? * to share and encourage. * Writers can express doubts and concerns without fear of appearing foolish or weak. * Those who have been through the fire can offer assistance and guidance. *It’s a safe haven for insecure writers of all kinds! You're invited to become a member of this supportive group. Click here to sign-up to join. This question is so easy for me to answer. I need help with every chapter that involves a love scene. And I don't mean a hot scene tearing off clothes and a lot of panting and spicy narrative. No. I mean those cute little scenes when the couple just happens to touch hands or shoulders or toes. Toes? Those scenes that allow the reader to know there's electricity between the couple and the sizzle begins. I mean how many ways can you say spark, lightning bolt, laser, whoosh, yowser without overdoing it? How do you make the feeling seem exciting and shocking without the scene reading like a second grader wrote it? Yes, when I re-read my romantic love scenes, I always feel like a kid wrote it. Thank goodness my writers group can help me out AFTER they have finished laughing so hard they can't speak. Do you have a problem writing romantic scenes? Please type yes in the comments below if you can relate to my plight. Thank you. Thank you for visiting the Focused on Story blog. Click Here to hop on over to more participants in the IWSG Blog Hop this week. Don't miss a new post on the Focused on Story blog. 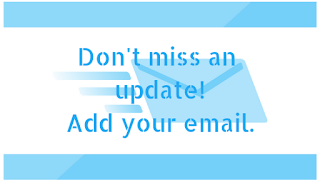 Scroll to the top of the page and add your email address to be notified when a new article is posted on this blog. Hello and welcome to the Focused on Story blog. My name is J.Q. Rose and I'm a writer. My selfish-side enjoys escaping into the world of fiction and letting the right side of my brain have free reign. 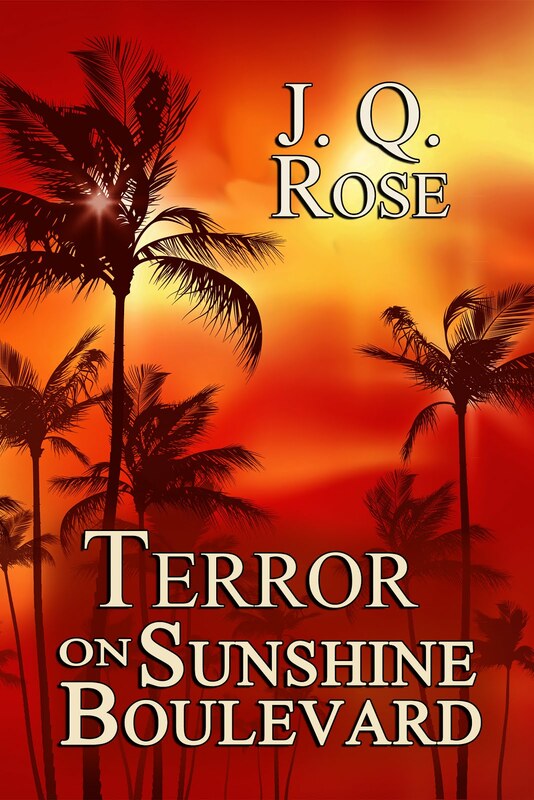 So much fun to play with the words, name and develop the characters, set them in make-believe or believable settings, and cavort with them through the pages. 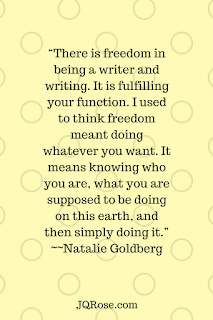 I agree with Natalie Goldberg's quote below: "There is freedom in being a writer and writing. It is fulfilling your function. ...knowing who you are, what you are supposed to be doing on this earth and then simply doing it." I have had the heart of a writer since second grade. But the opportunity to actually DO it and have my work published didn't appear until after we had sold our floral business and we were empty-nesters. Being a business owner, a floral designer, a mom defined me. But I suddenly found myself not knowing who I was anymore or what I was to do with my life. Writing gave me purpose in my life. That purpose evolved from simply enjoying getting the words on paper to entertaining and informing my readers. To laugh, cry, wonder, think as they get caught up in my stories. 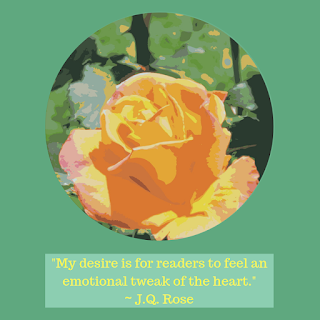 My desire is for readers to feel an emotional tweak of the heart. However, in the last few weeks, I got lost. I was separated from my writing because I was exploring all the "stuff" that is available on the Internet for writers in the 21st century. I have attended Free webinars (classes) on the following subjects. Stop the madness! My brain was on overload with all the facts, figures, and ideas. If I really want to get my books into the hands of readers in this age of technology, I have to learn these things in order to sell books. (Be assured it's okay to make money as a writer.) I also have an obligation to my publisher to get some cash in her pocket. But binging on these webinars has gotten me nowhere, except with pages of notes. Once I filter through them, I'll discover a few nuggets of useful information from excellent, inspiring presenters. But implementing all of these ideas will take time and patience. I know now I tried cramming so much information into my head, I lost time for writing. I'll have to find a balance in my life to be sure I make room for writing. How about you? 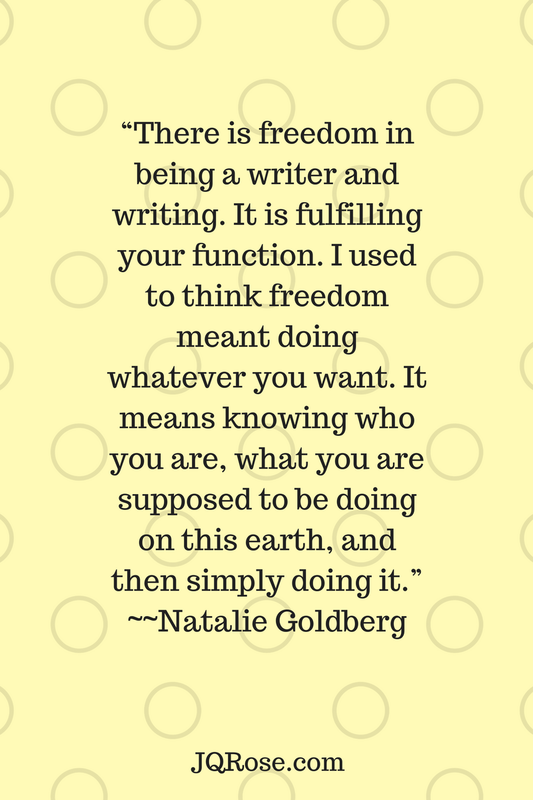 What separates you from your writing or reading? Any advice for us? Please leave a comment below. Do you want to savor vegetables grown in your own back yard? Save money on food? Add healthy vegetables to your diet? This vegetable gardening guide can help you with quick, practical tips on growing a vegetable garden. 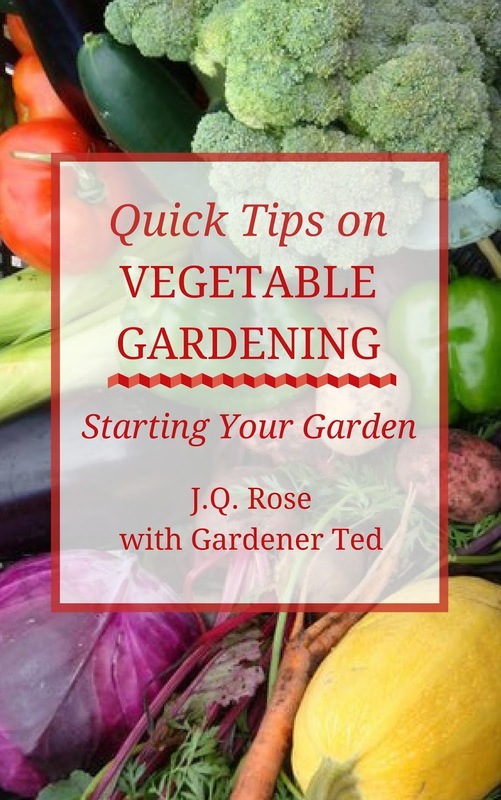 Learn how to get ready for gardening, how to plan a garden for four seasons of eating enjoyment, how to start seeds and more. 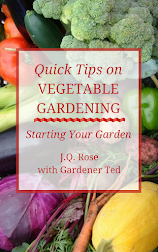 Quick Tips for Vegetable Gardening is dedicated to offering you quick tips and advice for you to grow veggies in a garden plot, container, raised bed, or vertical gardening. 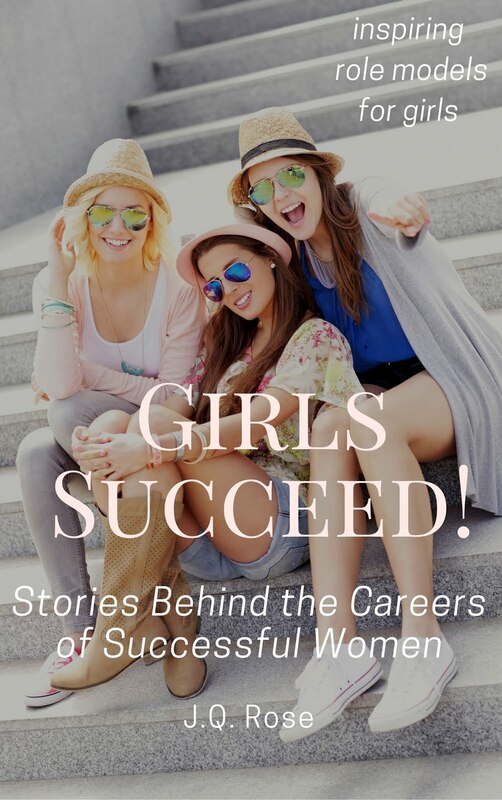 This eBook is written with clear and concise tips to get you started. The purpose of sharing these gardening tips is not only to advise you on best gardening practices but also to afford you the opportunity for a satisfying and fulfilling experience with a garden that produces delicious vegetables for your eating pleasure year after year. The authors have years of experience growing their own vegetable gardens, producing plants in commercial greenhouses, and owning and operating a garden center. They know how to grow a productive garden. Amazon and at major digital booksellers. I think your Quick Tips for Vegetable Gardening: Starting Your Garden is wonderful! Not only is it loaded with practical information, but its clear, concise style also makes this a great resource for both new and experienced gardeners! I enjoyed the quotes at the beginning of each section! They just made me feel 'good' about the excitement of sticking my fingers in that little bit of defrosted soil in the next couple months! Cathy E.
If you hadn't planned on planting a garden, this book might change your mind. Precise, easy directions for every aspect of gardening. J.Q. Rose and Gardener Ted make a great team. Love the easy flow and down to earth approach! Great tips from tried and true gardening. New gardeners and the more seasoned can find helpful ideas to utilize. Author Toolbox: What IS SEO? 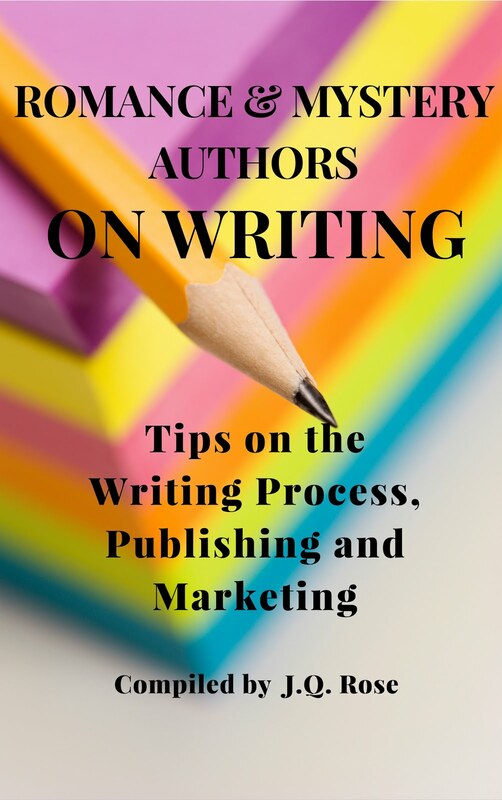 Please join us to learn more about the craft of writing and to meet bloggers who are dedicated to helping each other become the best writers possible. Click here for the list of participants and visit them after picking up a few tips on Search Engine Optimization--SEO-- on this blog. Thank you. I bumped into the wall known as SEO when I began contributing articles on gardening to an e-zine several years ago. (FYI- E-zine is now known as an online magazine.) No longer could I just write an article packed with information for gardeners. Instead, I had to include keywords in the post to optimize results for search engines to find the article among the thousands of available articles floating around in cyberspace. The importance of using SEO in my articles was new to me. Is it new to you too? Using SEO in your blog posts is like using a GPS to direct readers to your site. Popular keywords are used to drive readers to your website when readers put a keyword you use to describe your site or article in the search engine. The link to your post will be seen by readers wanting to learn about the information related to that keyword. Your ranking in the search engine improves every time someone clicks on your keyword hopefully landing you on the front page or at least one of the first pages of Google.com or other search engines. Just think about how you would talk to your friend about the article you just finished (or your book, short story or product). Use words you naturally use and ones your readers would use when searching for a topic. Let's try "author resources" as the keyword--yes, you can use more than one word. In fact, I have heard contrary discussions about the length of keywords. In my research,most gurus believe in using long-tail keywords to engage folks rather than a single keyword. Notice how many links related to authors resources pop up. Can you see how SEO will help you drive traffic to your website if you can find the right keywords to use? How do you find popular keywords that increase Search Engine Optimization? The secret to finding words that readers look for is simple and free. Popular keyword research tools are Google, Amazon, Youtube, and/or Pinterest. Place a topic you are writing about in your blog post in the search box. The predictive text will give you searches made with that word. Talking about keywords like I am today, I typed "keyword" into the search box on Google. The predicted word or phrases show up because users have selected these words to find articles and videos on the topic. To make my blog post about keywords turn up on a Google page, I should include some of these words and phrases that came up when typing "keyword" into the search box. These have been used by folks searching for information about that topic. Perhaps you are writing an article about "good websites". Type the term into the search box and the text will give you an idea of what phrases or words people are using to find information on "good websites". Look back through this article to see if I snuck any of the suggestions in places where they are unobtrusive. You can't put keywords everywhere so they become obvious and annoying to the reader. Don't be afraid to try out adding keywords to improve the SEO or Search Engine Optimization for your online works. After 3 or 4 months of using keywords, see if you see an increase in traffic to your site. You may also like to go back to older posts that received a lot of interest and add keywords to get even more traffic. I hope I have simplified this complex method of getting readers to your website. If you have questions, please ask in the comments below. If you have information to add on SEO or keywords, please do so in the comment section. I'd appreciate that and so would the readers. Check out these articles below for more information and search for educational articles and videos using your favorite search engine. Click here for How to Use Keywords on Your Site by Nate Shivar. Hello and welcome to the Focused on Story blog. Today is a day of marking milestones! 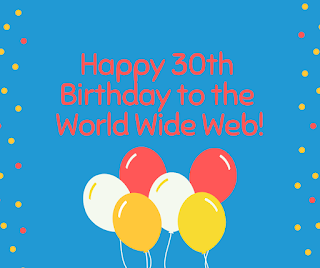 The World Wide Web turns 30 years old today and England marked the 100-year milestone of women gaining the right to vote in February 1918. According to an article in The Verge, 30 years ago today Tim Berners-Lee submitted a proposal to his boss simply titled "Information Management". The proposal offered a solution for scientists to manage their increasingly large projects. This management system, in just a couple of years, transformed into the "World Wide Web: a connected system for sharing information that would revolutionize how the entire planet communicated." Through these 30 years, his plan has affected our lives in the way we learn, access news and information, shop, and how we spend our free time. One great example of change for readers and writers is how books are now delivered into the hands of readers. eBooks are just a click away from you no matter where you live--in the cities, small towns, rural areas, mountains, and oceanside. What are your first recollections of the early days of using the World Wide Web? Please share in a comment below. 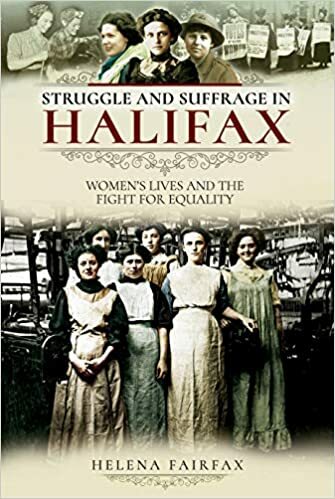 Helena Fairfax tells us the stories of the lives of the women in Halifax, England in the county of Yorkshire and how they gained the right to vote in her new release. She writes in her blog "6th February 2018 marks 100 years since the Representation of the People Act when all women over the age of 30 who met certain property restrictions were granted the vote for the first time. The Act also gave the right to vote to all men over the age of 21. It’s often forgotten that before 1918, around 40% of men in Britain were also denied a vote because of property restrictions. The vote was finally extended to all women over 21 in 1928." Click here to read Helena's article. BACK OF THE BOOK: Between 1800 and 1950 the town of Halifax grew beyond recognition. The booming mills and factories were built on the labour of women and their children, and yet their voices are almost completely missing from the history books. For the first time, this is the story of Halifax from the point of view of the women who helped shape the town. This was a period of extraordinary change, but the battle for equality was long. In 1800, many women were illiterate. By 1900, there was a thriving girls' high school in Halifax, and yet one of its most brilliant students was denied a full degree because she was a woman. In 1939, the Vicar of Halifax called women's economic independence "an evil".Families were large and women regularly died in childbirth. Many faced the stigma of single parenthood or else the terror of an illegal abortion. In the 1930s, the first Family Planning Clinic was set up by women in the town. In the 1840s, women in Halifax fought for their menfolk's right to vote. In 1911, when Emmeline Pankhurst gave a stirring speech at the Mechanics' Institute, women had yet to be granted a vote of their own, leading many women to boycott that year's census and at least two to declare their occupation as "slave".From girls in the factories to the first women stepping into public office, this book provides a fascinating and moving account of the lives of Halifax's women through the key events in the town's history. Thank you for stopping in today to help us celebrate these milestones. Don't miss out on the next blog post. 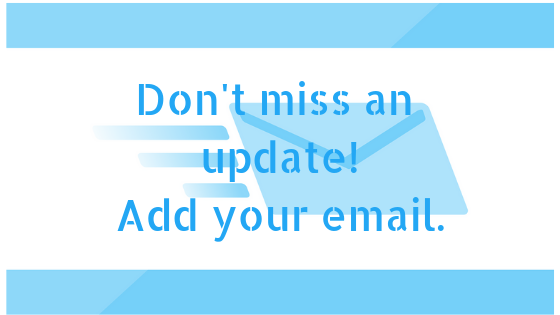 Follow Focused on Story blog by filling in your email address in the box at the top of the sidebar. I promise, NO Spam.